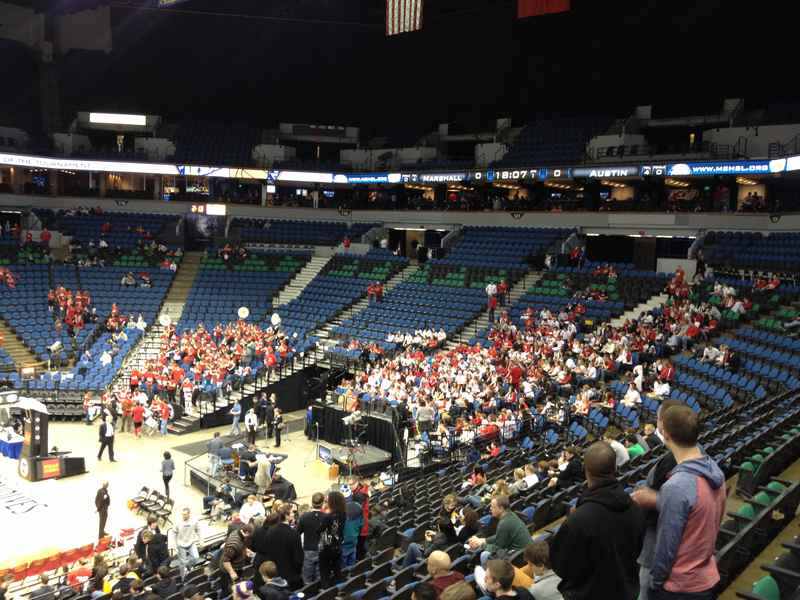 Bring the Red Sea to Target Center! Austin High School has reserved six student fan buses for the game on Saturday. Cost will be $6.00 for the fan bus. Permission slips can be picked up at Austin High School on Friday, March 22, 2013 during regular school hours, or you can Download the form here. Signed permission slips can be turned in to the Cashiers Office on Friday, March 23, 2013 and they can also be turned in from 8:00 – 10:00 AM on Saturday, March 23, 2013 in the Cashiers Office in the high school. Fan buses will load at 2:45 PM and depart at 3:00 PM. Buses should return to Austin around 11:00 PM. Note that we were only able to secure school buses, so these buses are open to both students and adults, but the charge for adults to ride the bus is $10. Elementary and middle school students may ride the bus only if accompanied by a parent. Riders will need to purchase their game admission tickets when they arrive at Target Center. Student tickets are $9 and Adult tickets $14. Follow the Packers at State on Twitter, and connect on Facebook.